Home Tags Posts tagged with "divorce papers"
Andrew Silverman was allegedly well aware of his wife Lauren’s relationship with Simon Cowell. According to TMZ, Lauren Silverman is “outraged” that he is “feigning shock” at pictures of her kissing Simon Cowell on a yacht last year. The website reports that Lauren Silverman has alleged to close friends that Andrew “knew what was going on the whole time and he was doing the same thing”. In contrast to Andrew Silverman’s claims, sources close to Lauren told TMZ she alleges she partly got together with Simon Cowell because Andrew “was cavorting around the world and partying with girls on various continents”. TMZ report Lauren Silverman, 36, states their relationship was a “tactic mutual understanding”, and according to Lauren, her husband “never had a problem with it”. Andrew Silverman, 37, was also apparently aware that Lauren spoke to Simon Cowell on the telephone “several times a day”, and allegedly also took no issue with her trips to the UK to visit the millionaire music mogul, report the website. With all parties reportedly wanting a divorce as soon as possible, real estate mogul Andrew Silverman is said to be gunning for sole custody of their child, Adam, seven. However, Lauren Silverman is unlikely to grant that request, according to TMZ and will “fight tooth and nail to get primary custody”. In contrast, Andrew Silverman was reported to be so oblivious to the affair, “he recently upgraded Lauren’s engagement ring with a 10-karat diamond”, a friend told The New York Post. The newspaper reported a “livid” Andrew Silverman named Simon Cowell as a co-respondent in divorce papers, which were filed in Manhattan Supreme Court two weeks ago. New York is a no-fault divorce state, but Andrew Silverman has filed for a fault divorce based on adultery. He returned to his $4 million Hamptons home Thursday to “preserve normality” for his seven-year-old son and stayed the night. But according to reports, the “crisis talks” with wife Lauren did not happen as the former couple decided not to discuss their impending divorce amid a frosty atmosphere. But far from trying to build bridges, it seems that Andrew and Lauren Silverman had “minimal conversation” as the atmosphere was too frosty. “Andrew stayed at the house to create some normalcy for their son,” a source told The New York Post. According to TMZ, Simon Cowell still has plans to be a financial figure for the child. “He will gladly provide for the child, and not just financially,” the source said. In divorce papers filed two weeks ago by her estranged spouse Andrew, Lauren Silverman was accused of being “cruel and inhuman” towards her husband. Despite the controversy surrounding her, Lauren Silverman looked in good spirits and smiled for the cameras as she made her first public appearance since news of the unplanned pregnancy broke on Wednesday morning. Rupert Murdoch has filed for divorce from Wendi Deng because their marriage has “irretrievably broken down”, his spokesman announced today. The divorce papers were filed at the New York State Supreme Court. The News Corp boss and Wendi Deng, married in 1999 aboard a private yacht in New York, have two daughters together, Grace and Chloe. In 2011, Wendi Deng famously leapt to her husband’s defense to slap a protester who threw a pie at him as British MPs quizzed him over phone-hacking. Rupert Murdoch, 82, met his Chinese-born third wife in 1997 at a cocktail party in Hong Kong. They were married two years later, weeks after his second divorce. Wendi Deng, 44, is 38 years younger than the Australian-born media mogul, who is said by Forbes to be worth $9.4 billion. “I can confirm for the record that Rupert filed in New York State Supreme Court this morning for divorce,” Rupert Murdoch spokesman Steven Rubenstein told AFP news agency on Thursday. The couple had a pre-nuptial agreement and have held shares in trust for their children. So our business editor believes the divorce is not likely to lessen the magnate’s grip on his media empire. Rupert Murdoch, now a US citizen, reportedly paid $1.7 billion in his divorce settlement from his last wife. Wendi Deng, said to be the daughter of a factory director, was born in 1968 and grew up in the eastern Chinese city of Xuzhou before leaving for the US at 19 to study. She worked in a Chinese restaurant in California before going on to graduate from Yale University in 1996. Wendi Deng was later employed by Star TV, News Corp’s Asian satellite-television operation in Hong Kong, where she met Rupert Murdoch during one of his visits. The divorce filing comes two days before News Corp is to be split into two companies, one for its entertainment assets and the other for its publishing business. Rupert Murdoch is to be chairman of both firms. His global media portfolio includes the Wall Street Journal, television channels such as Fox News and Sky, and the 20th Century Fox movie studio. Two years ago, his UK newspaper division became embroiled in a phone-hacking scandal, which led Rupert Murdoch to close one of the titles, the News of the World. In July 2011, Wendi Deng jumped from her seat during a UK parliamentary hearing to slap a prankster who tried to shove a shaving-cream pie into Rupert Murdoch’s face. The Real Housewives of Atlanta star Porsha Williams has reportedly submitted her own divorce papers via her attorney. Porsha Williams was blindsided earlier this week when she discovered her husband, Kordell Stewart, had filed for divorce without her knowledge. According to TMZ, Porsha Williams, 31, is seeking two major assets: alimony and the use of their Atlanta mansion. In Kordell Stewart’s initial filing, the former NFL star had claimed that his wife did not need spousal support. 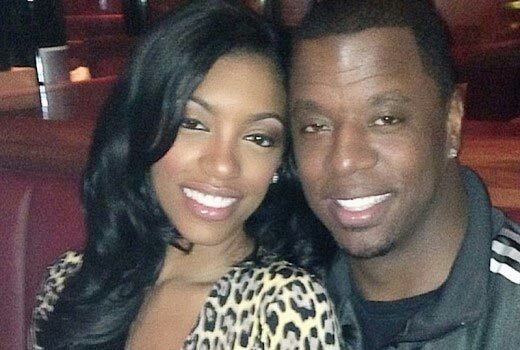 Conversely, Porsha Williams’ attorney argued that she paused her own career in order to be the wife and mother to Kordell Stewart’s child from a previous relationship that he needed. “Mrs. Stewart had held off on filing for a divorce herself and remained committed to the marriage because Mr. Stewart promised to work on the marriage with her,” Porsha Williams’ rep told Us Weekly. But Kordell Stewart’s decision to file for divorce without his wife’s knowing shows no signs that he was dedicated to working on the marriage. “[Kordell Stewart] misled her and she found out about the filing in the media,” said Porsha Williams’ rep.
“Mrs. Stewart hopes to resolve these personal issues privately with the support of her family, friends and strong faith,” the spokesperson added. The former NFL quarterback lodged legal papers at Fulton County Superior Court in Georgia on March 22, reports. Kordell Stewart, 40, who went by the nickname Slash during his days on the field, and Porsha Williams have no children together, although he does have a child from a previous relationship. Donald Trump is to claim that he has unearthed divorce papers of Michelle and Barack Obama, according to a respected financial pundit with links to the tycoon. 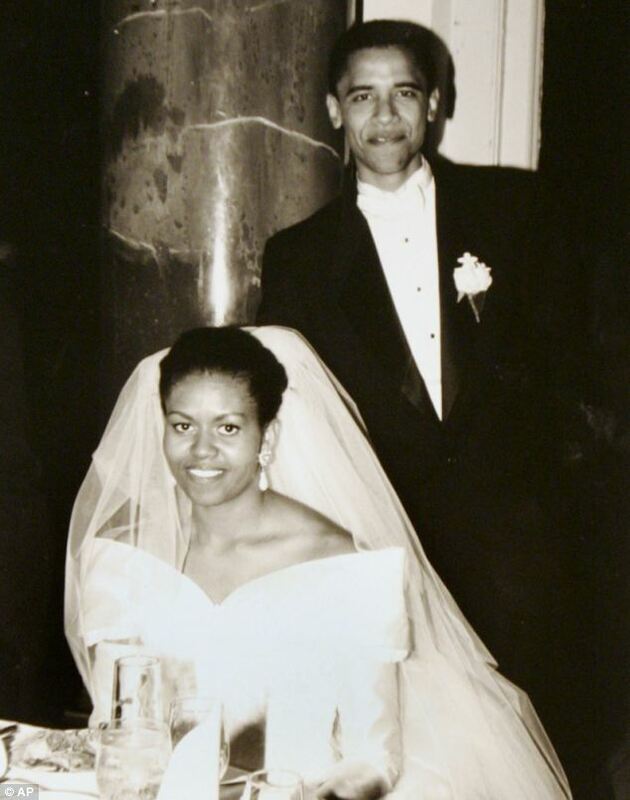 It is alleged that Donald Trump will claim that the documents show Michelle and Barack Obama were at one point in their two decades of marriage seriously considering splitting up. Donald Trump set the hare running on Monday by claiming that he was set to make an announcement on Wednesday that would be “bordering on gigantic” and that it would “possibly” change the Presidential race. The billionaire told Fox & Friends that he had “something very, very big concerning the president of the United States”. Donald Trump declined to elaborate, but today an investor who appears on the same business talk show as him claimed to have more details. 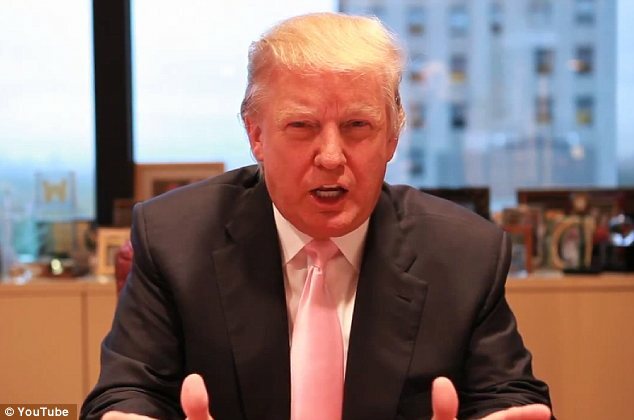 Interviews with both Douglas Kass and Donald Trump appeared on the show’s website this morning. Douglas Kass is an author, the founder and President of Seabreeze Partners Management and has also appeared in newspapers including the Wall St Journal and the New York Times. Donald Trump also has a questionable record when it comes to his own allegations, most notably being a leading “birther”, so-called because he believes Barack Obama was born in Kenya and not Hawaii, thus disqualifying him from being President of the United States. Donald Trump even claimed to have sent investigators to Hawaii in his failed attempt to prove the theory. Despite the support of the Tea Party the issue went away when the President released the long form of his birth certificate last year. Heidi Klum and Seal filed for divorce after six years of marriage? German supermodel Heidi Klum and London-born crooner Seal are to file for divorce after six years of marriage, according to reports. Heidi Klum, 38, and Seal, 48, will apparently file divorce papers in the LA County Superior Court early next week, TMZ reported. According to TMZ, Heidi Klum will cite “irreconcilable differences” as the reason for the split. The reports have shocked fans of the couple who often make public displays of affection at red carpet events, and are a picture of happiness with their four children. Heidi Klum, Seal or their management are yet to comment on the reports. They were last seen together on December 27, with Heidi Klum tweeting a picture of her and her husband smiling against the backdrop of mountains in Aspen, Colorado. Heidi Klum and Seal met in 2004 while she was pregnant with her daughter Leni, now seven, with Italian businessman Flavio Briatore. Seal was present for Leni’s birth and later adopted her. He proposed on December 23, 2004, in an igloo he had built on a glacier in Whistler, British Columbia. Seal and Heidi Klum married on the beach on May 10, 2005 in Mexico, near Seal’s home on Mexico’s Costa Careyes. They have three children, Henry, six, Johan, five, and Lou, two. Heidi Klum and seal are famous for renewing their vows every year on their anniversary in a lavish ceremony. In 2010, Seal gushed about the tradition. “Each year, Heidi and I get remarried,” Seal said. Splitting up their assets may prove to be a lengthy process. According to Forbes, Heidi Klum raked in $20 million last year. It’s unclear how much Seal made. Heidi Klum was previously married to stylist Ric Pipino in 1997, but the couple divorced in 2002. Seal was spotted arriving at LAX yesterday morning, after promoting his new album in London. Heidi Klum attended the Golden Globes alone on Sunday.